Euroclasses is a Eurodesk project aimed to raise awareness about European opportunities. Different thematic modules are being developed. All the classes have been designed for young people aged 16-19 who will be taking decisions about their future, and more importantly their future in Europe, very soon. The classes are impartial and purely informational. They are a space to share basic knowledge, broaden horizons, invite reflection and aid the search for further information. They are based on non-formal education methods. The classes are designed for youth workers and trainers in organisations which are members of Eurodesk. Not all Eurodesk Centres run this project. If you are interested in running such modules in your school/university/youth centre, check whether the Eurodesk Centre in your country is in capacity of delivering the classes. How might we convince young people that they can shape their future through active participation in political processes? An average young person might be sceptical, at first sight, as politicians can appear far away and not very concerned about youth policy. However, starting with politics at a local level, can change this perspective. Who are the Members of European Parliament in my area? What do they stand for? Can I tell them my opinion when I agree or disagree to influence future changes? This class helps participants to focus on the big picture of changing Europe, its governance and its decision-making processes. Finally, it empowers young people to understand how they can participate actively and influence political decisions at local or European level. 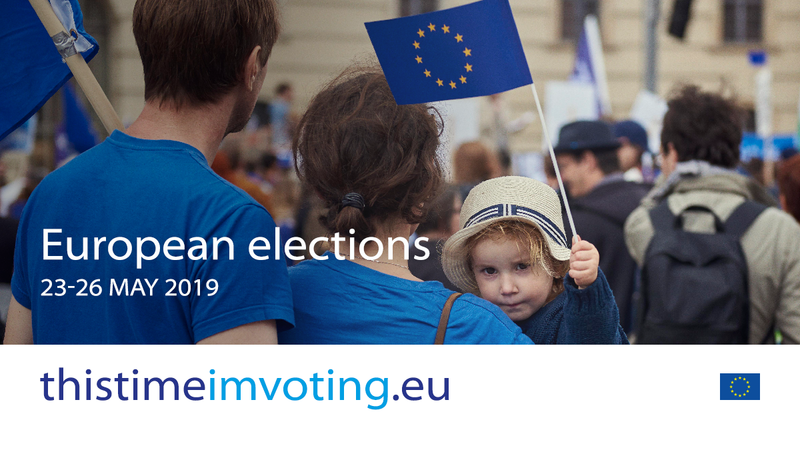 This module has been especially designed by Eurodesk in the context of the upcoming European elections of May 2019 and the campaign “This Time I’m Voting”. What does it mean to go abroad to volunteer? How to look for information? What are existing programmes supporting volunteering projects? During the class, participants start with defining volunteering, take part in a quiz about volunteering programmes and role-play. In the longer version they find out what role volunteering plays in the European Union. This module helps participants to understand what volunteering abroad entails, the social values it carries and how they could benefit from such an opportunity thanks to EU programmes such as the European Solidarity Corps. Eurodesk is a supporter of the 'This time I'm voting' campaign.